Can natural skincare replicate the results you get at the derm’s office? I’m sceptical but Dr Gary Goldfaden is on a mission to prove me (and all my fellow sceptics) wrong. A dermatologist for over 40 years, he created Golfaden MD, a skincare line that bridges the gap between science and nature. His mission is to create natural, plant-based skincare products that mimic the radiant effects you get after an in-office dermatologist procedure. 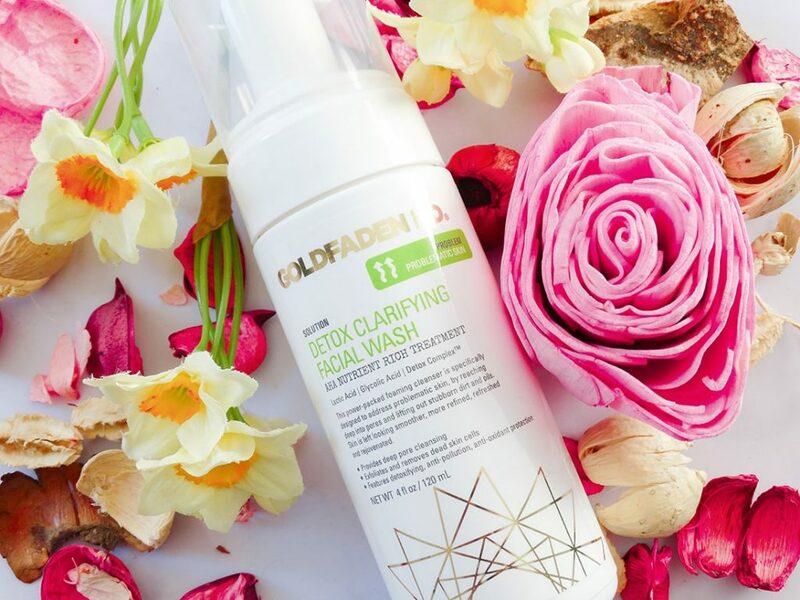 Goldfaden MD Detox Clarifying Facial Wash is a cleanser with benefits: it cleanses skin and exfoliates it at the same time. Let’s start with the cleansing part. The cleanser uses sodium cocoamphoacetate and decyl glucoside, two gentle cleansing agents that help water mix with oils and dirt so they can be rinsed away. Glycolic and lactic acids remove dead cells too. They work by dissolving the “glue” that holds skin cells together, so they slough off. With them out of the way, your skin is softer and brighter. If you’re a regular here, you know I always say these acids work better when left on the skin for several hours. I still stand by that. But if you have sensitive skin that can’t tolerate acids for long or are still young and need only very gentle exfoliation, an exfoliating cleanser may just be enough for you. Just make sure to massage it onto your skin for at least one minute to give these exfoliating acids their best chance to work. The cleanser itself has a foaming texture. As soon as you press the pump, a white cloud pops up. Well, that’s what it looks like anyway. Mix it with water and it’ll lather slightly. I don’t use Goldfaden MD Detox Clarifying Face Wash to remove my makeup at night. I prefer an oil-based cleanser for that. But it’s a great morning cleanser (or second step in your double cleansing routine). It does a good job of removing all traces of dirt, excess oil and other small impurities without drying out my skin. After every wash, my skin feels clean and soft. There’s no tightness or other tell-tale sign it’s too harsh for my skin. Phew! When I first tried Goldfaden MD Doctor’s Scrub, I remembered why I miss scrub so much – and why I won’t go back (I stick to salicylic acid exfoliants these days). Let’s start with the “bad:” the scrub is infused with tiny ruby crystals that manually remove dead cells off your face. These crystals are NOT for the faint of skin. 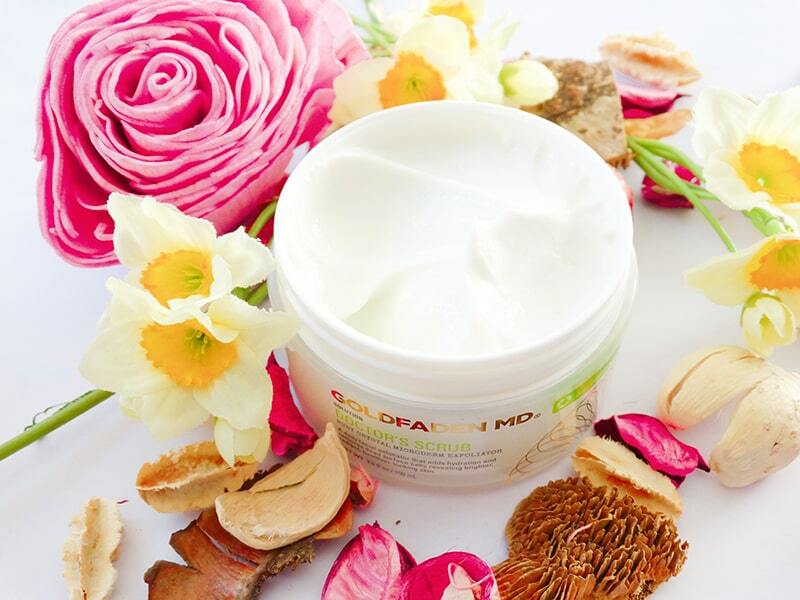 Goldfaden MD recommends you use a generous amount on damp skin. Well, when I did it, I felt like I was scrubbing my dry skin with sandpaper. It was NOT pleasant, I tell you. Keep in mind my skin may be dry, but it’s pretty resistant. 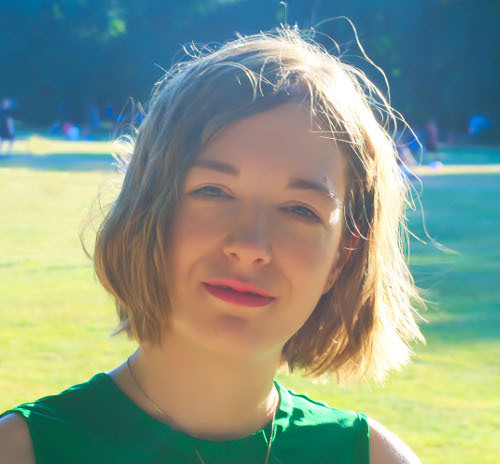 I can easily tolerate 1% retinol and strong lasers without crying – or getting an irritation. The issue here is not with my skin. It’s with physical exfoliation: you need to use a small amount two or three times a week. A generous amount every day can easily backfire and irritate your skin. You know what they say, everything is good in moderation. So, what happens when you use a small amount of Goldfaden MD Doctor’s Scrub? That’s when I remember how satisfying physical exfoliation is. You see, chemical exfoliants like salicylic acid and glycolic acid don’t remove dead cells. They only loosen the glue that holds skin cells together, so they can slough off more quickly on their own. That’s why it can take a few days/weeks to see maximum results. Physical exfoliants like ruby crystals work straight away. As you massage them on your skin, they get rid of every last dead cell on the surface of your skin on the spot. You see results immediately. And boy, how soft my skin was afterwards! As soft as a baby’s and so smooth! It looked a little brighter, too. FYI, the creamy texture is also infused with jojoba oil and Hyaluronic Acid to provide some extra moisture to the skin while the ruby crystals do their job. It makes them gentler on the skin. Still, if you have sensitive skin, I recommend you stick to lactic acid or a washcloth. But if you’re a die-hard scrub fan who loves to see those dead cells come off pronto, you’ll find Goldfaden MD Doctor’s Scrub very satisfying. Related: Physical VS Chemical Exfoliation: Which One Is Right For You? Let’s get one thing out of the way: NO skincare product can detox skin. It’s your liver and kidney that gets rid of toxins for you. Detox in skincare is just a general term for “cleansing skin, clearing out pores and all that jazz.” That’s a job for clay masks. Golfaden MD Facial Detox Clarify + Clear Mask isn’t your regular clay mask. It has only a smidget of clay – enough to absorb some excess oil but not enough to make the mask harden and a complete pain to remove. Phew! That’s the thing I like the most about this mask: the texture. It’s green, creamy and always feels comfortable on. 15 minutes later, you can wash off it off with water in minutes without leaving a black mess all over your bathroom. Zinc oxide: it’s not a sunscreen here. Instead, it acts as a “skin protectant,” a fancy way of saying it protects injured skin from harmful stimuli and helps soothe irritations. Colloidal sulfur: it helps reduce oil production, exfoliate skin and dry out blemishes. Plus, it has antibacterial properties that can kill the bacteria that gives you acne. The catch? Sulfur can be very irritating for the skin. That’s why you shouldn’t leave this mask on for more than 10-15 min. If you have sensitive skin, I don’t recommend it at all. Salicylic acid: also called BHA, this exfoliant gets inside the pores, removing all the gunk that’s clogging them up. The mask has only a few drops, so it provides very gentle exfoliation. FYI, if you have breakout-prone skin, you’re better off with a leave-in salicylic acid product for every day use. Bentonite: a very absorbing clay that soaks up excess oil well. As I mentioned, there’s not much clay here – it’s mostly sulfur that keeps your oil production under control. My skin doesn’t produce that much excess oil anymore. I just have a few shiny patches around my nose and chin, so I apply Golfaden MD Facial Detox Clarify + Clear Mask only there. It does a good job at soaking up the little excess oil I have without drying out my skin. One more thing: the citrus and mint scent, coupled with the green hue of the mask, reminds me a lot of toothpaste. It feels refreshing and cool – it’s the kind of scent that makes you think of cleanliness and detox. For most people, it makes the mask more pleasant to use. But if you have sensitive skin, it’s another reason to steer clear. Fragrances and sulfur don’t really agree with your skin. 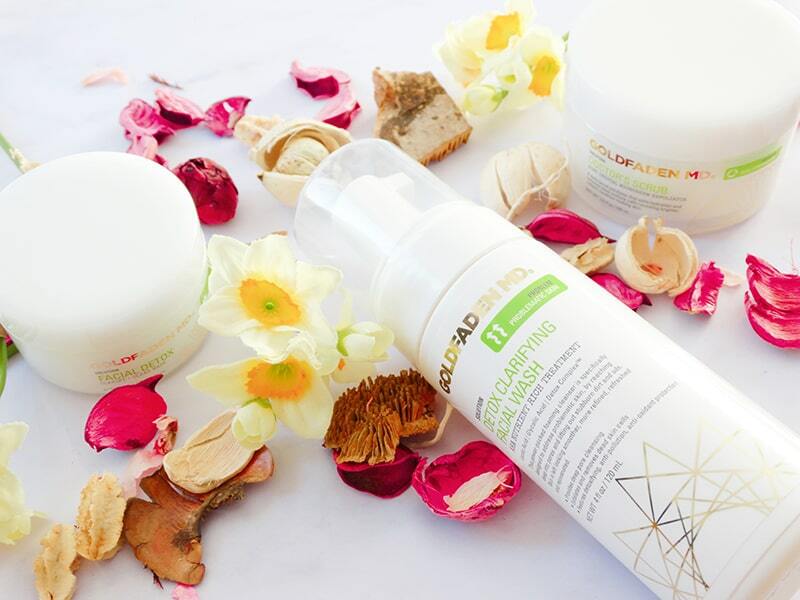 Goldfaden MD is a dermatologist-developed line that uses natural ingredients to give you radiant, clear skin. 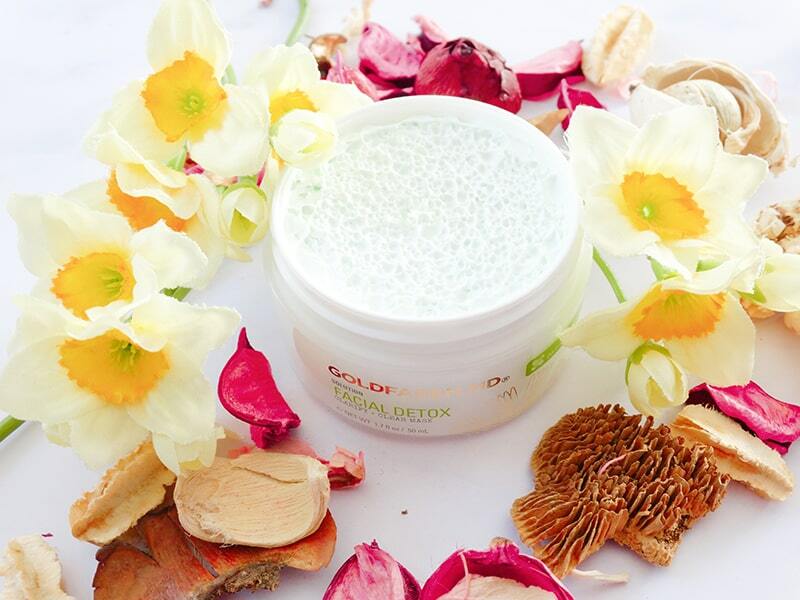 The Detox Clarifying Facial Wash has a foaming texture that cleanses skin gently without drying it out. Doctor's Scrub makes your skin baby soft and smooth - when used in moderation. Facial Detox Clarify + Clear Mask absorbs excess oil and calms down troubled skin.